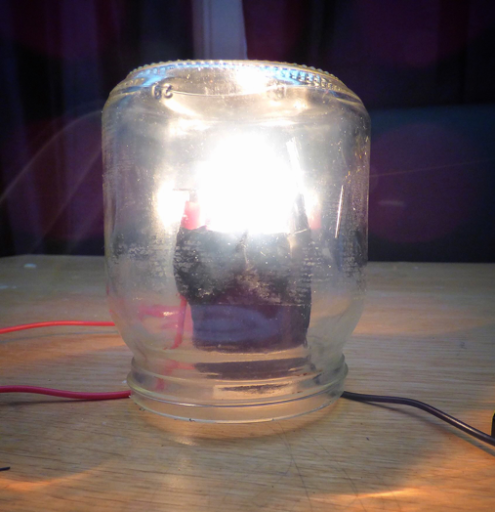 You can use this experiment to make paper fireproof, whether it is an important piece of paper or you need to keep safe or you want to use it for an experiment like making your own light bulb! Anyway, this is really easy but it does take a long time but it does work so give it a go. I used 25ml of Alum to 50ml of water ratio and waited until it was completely dissolved. Soak the paper you want to make fireproof in the solution and then peg out carefully to dry - you must be careful because the paper will be easy to rip when wet. When it's dried repeat the process another two times then you should find you have fireproof paper. I used this method with an piece of egg carton but because the cardboard is so thick I had to repeat the process about 5 times over. Still it was worth all the fun that was had making the light bulb, that science will be here soon! So now you've learnt Alum is a flame retardant have fun fireproofing paper!